Decades passed since it was introduced and the denim is still present in our every day life. From jeans to accessories, there are many ways you can wear denim. 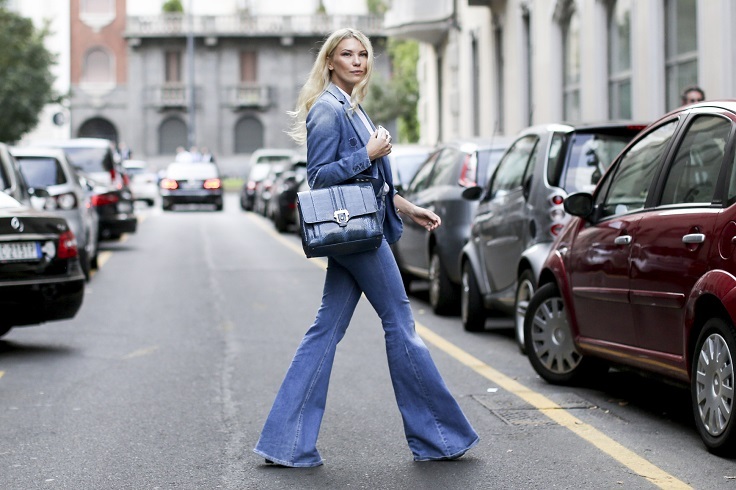 In this article we are showing you ten outfit ideas on how to wear denim. All these photos are picked straight from the street style and you can even spot some famous fashion names. 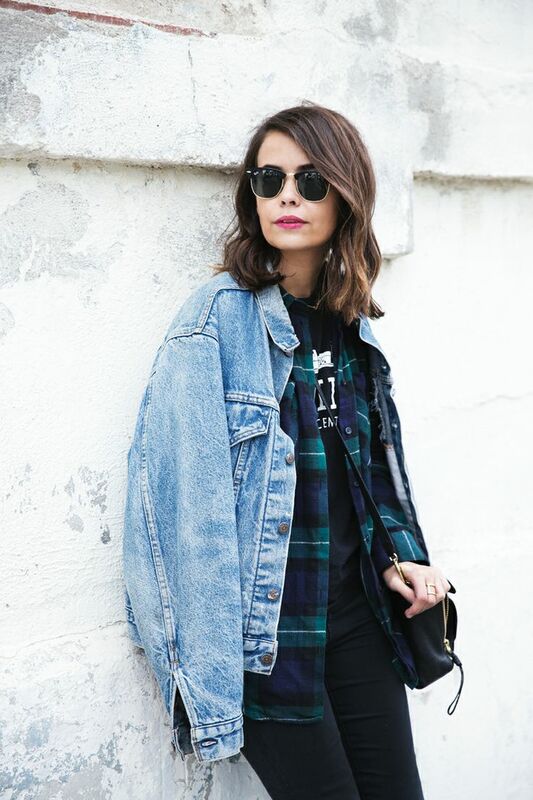 Check out these outfits and get some denim inspiration for your wardrobe. If you are feeling like the 1990’s fashion is coming back, it’s totally true. 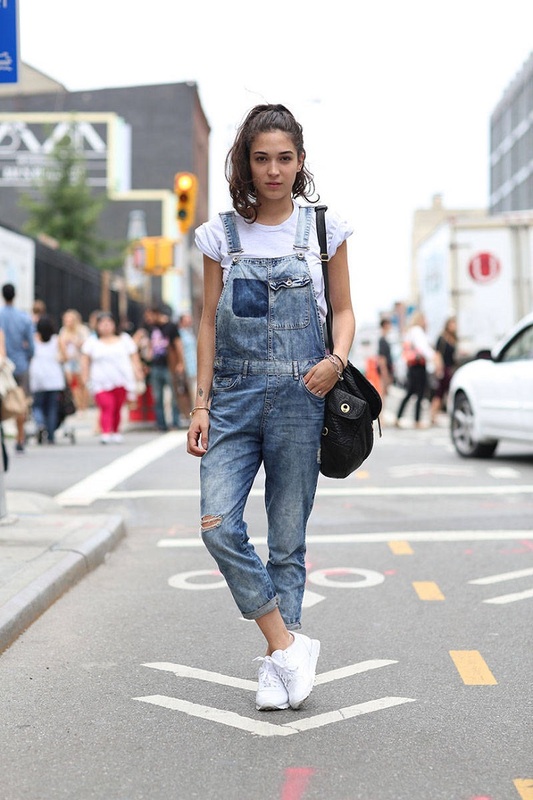 Overalls are now just as much as popular as they were back then! They don’t satisfy everyone’s taste in fashion, but if you’re a fan just pick your favorite denim overalls and upgrade your 90’s style file. We have no doubts in the way that famous Danish fashionista Pernille Teisbaek can influence fashion. We’re in love with this outfit because with the right choice on jeans, shirt and a detail clutch, you can look amazing and not spend hundreds of dollars on your outfit. You don’t need to buy expensive clothes to look chic, sometimes just the right pair of jeans is enough! Some prefer skinny jeans, while others love them as flare as possible. If you belong in the second group, here’s a look you can copy. Being the focus of the outfit, it’s easy to match this type of jeans with the rest of your wardrobe. You can just wear a crop top and your favorite bag. Matching the right colors with the right mixtures can create an awesome 70’s outfit. Boyfriend, oversized jeans that are cropped such as pictures are now the trendiest the pair of jeans you can own. There are endless of possibilities on how to wear – make it with sneakers, heels, crop tops, shirts – it really is up to you. One of those 70’s trends that won’t go away at least for some time. You can easily find these at many stores! They are slim through the waist and they get flare as you move down the leg. This flatters our figure, so don’t hesitate on buying a pair of this. It will be an investment worth all the money! A must – it can’t get any more clear than this. Everyone should have at least one denim jacket in their wardrobe. This is an essential piece of clothing, a classic. There are countless ways you can wear this jacket and it’s perfect for almost all occasions. Invest in a high – quality denim jacket that will look as new even after few years. The festival season is coming in few months and that means preparing your wardrobe the right way. Crop tops, skater dresses, everything boho – inspired. We’re back to the overalls, but this time we’re talking about a dress. It’s very casual, comfortable and still looks so lovely! Denim dresses are just so lovely. Depending on what you choose, it can be really flattering, elegant, casual – it’s all up to your taste. Fashion blogger Alexandra Pereira proved us how good this dress can really look! Olivia Palermo deserves the title Queen of street style. She can pull of everything and it will still look good! From this outfit of hers, we can see how you can pull denim to look casual. All you need is your favorite pair of jeans, shoes and shirt. As simple as that! 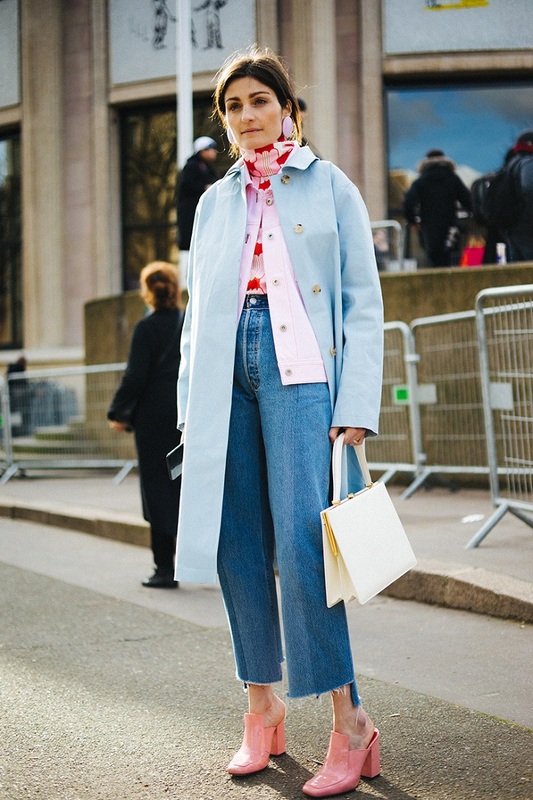 Wearing denim on denim is something you can spot so often during the fashion week’s street style. It looks both chic and simple at the same time. This outfit is everything you’ll need during a busy day, lazy day, shopping – any occasion!